We are often asked what services we offer. 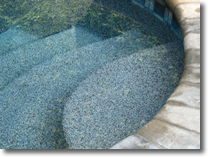 At Water Logic, we are primarily a pool construction company that specializes in pool remodeling. Water Logic's approach to each pool remodeling project is the same: Provide clear communication with the homeowner about the construction timeline, install the finest quality materials by highly-skilled pool professionals, and maintain job safety and cleanliness. 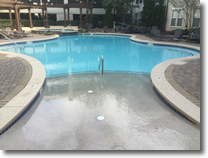 By its very nature pool renovation can be very messy, however our crews are trained to minimize any problems during the course of construction. Once a pool's walls or deck presents signs of deterioration, it's vital to repair the damage before the integrity of the structure is compromised. There are several methods and materials available, and it's a simple matter to find the appropriate treatment for your pool. Pool plaster typically lasts 7 years and has a industry standard warranty of one year. The etching and chipping exhibited by plaster is a common occurrence, and resurfacing is the standard response to a pool over 7 years old. The main differences between plaster and Water Logic's preferred finish, Pebble resurfacing, are the materials used, thickness of how it is applied, the color of water it creates, and the durability. Plaster can be colored in varying shades ranging from black and gray to white; however plaster tends to mottle and have a typical lifespan from 7-10 years. Colorquartz surfaces are more durable and stain resistant, have a greater range of color choices, and will last from 8-12 years per average. On the other hand, Pebble surfaces are extremely durable, extremely stain resistant, have over 30 colors and styles to choose from, and can last up to 25 years. To resurface a pool, the old plaster must be chipped away at least ½” deep and 2″ wide below the tile (for both new and old), and around all fittings. This gives enough room for the new finish to flush up to the tile and taper around the fittings without bulging. A bond coat is applied, which applies both a chemical and mechanical bond to the old plaster. 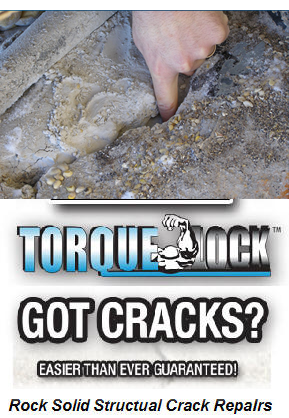 This rough surface gives the new finish a strong grip to the shell and prevents the two finishes from separating. Older pools frequently display signs of age. One sign is the breaking or cracking of tiles.The same exposure to the elements that causes tile breakage also causes the cracks in the pool coping. While small patches of tile can be repaired or replaced, owners often decide to take the opportunity to update the look and feel of the pool. Our staff can show you a wide variety of tile colors and styles, as well as coping options such as pre-cast concrete, bullnose brick and flagstone. There are hundreds of tile colors and sizes to choose from, from a large number of manufacturers. Water Logic uses only frost-proof, premium tiles designed for continual submersion in swimming pools. Whether a 6” stone-effect tile, or a bright blue 3” decorative tile, we can recommend the best tile for the look you want to create at your pool. Coping can range from a fired clay brick product, to a monolithic concrete material, to a rough-hewn stone. Brick Coping is considered the strongest material, and is available in red, tan, gray, or variegated. Concrete coping is another good choice, and has a greater range of appearance shapes, colors, and textures. 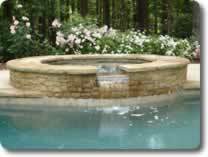 Stone coping is a natural mined product that can add distinctive natural beauty to your pool or spa, but requires correct maintenance and/or sealing to maintain proper condition. Other coping choices can include travertine, granite, slate, or marble. The elements also take their toll on the decking. New options are available to "dress up" your decking, including: embossed concrete, exposed aggregate, tile, acrylic, brick pavers, and natural stone masonry. Once again, our staff can help you choose the surface material that will best suit your needs. Sometimes older pools have problems like pool settling, shifting, sinking, cracking, structural movement or structural cracks. 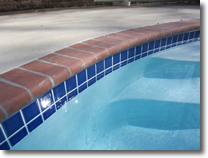 We frequently encounter problems that are outside the scope of most pool contractors. We have a vast amount of experience rectifying these problems, stabilizing the pool structure, and instead of temporary bandaids, we make permanent repairs that will last through the years. Pools built 10 or more years ago often have depths, slopes or shapes that are not as preferable as those built today. For example, diving boards were once popular, but because of liability issues, families would rather have a pool that has a depth that everyone can enjoy. Our crew can “raise up” the floor by extending the plumbing, compacting structural fill, installing rebar, and installing a new concrete floor. Another common modification is changing the main drain system in pools and spas from a single to a dual drain. The reason for this stems from drownings as a result of suction entrapment. By creating a dual main drain, the suction is divided and cannot be completely blocked. Many of our customers come to us because they are frustrated by high water bills, or a pool that won’t stay full. These leaks can often be very difficult to find, as many times the sources of the leaks are in the pool shell penetrations, or in a concealed plumbing section buried underneath the pool deck or behind the pool wall. No Problem! At Water Logic, we are able to test all parts of the pool structure and plumbing systems, and pinpoint the source of the problem! 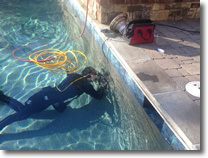 Our team is able to repair the leaks, whether they are located underground or in the bottom of the pool shell itself. The Water Logic team is made up of leading industry professionals with many years of on-the-job experience. Unlike most companies that utilize subcontractor services to complete phases of the construction, Water Logic, Inc completes almost all renovations with full-time company employees and direct associates. The result you deserve and can be proud of. 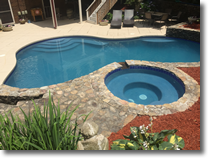 Whether it’s a complete pool renovation, tile replacement, deck resurfacing, or equipment replacement, we offer the same commitment to quality and customer service. Give us a call today and find out why we are so highly regarded by our customers! Copright © 2018 WaterLogic Inc. All Rights Reserved.